Buy The Chainsmokers tickets here. If you're wondering when The Chainsmokers is coming to town, check above for the tour's schedule, upcoming dates, times and venues. And we're more than just a ticket site because when you purchase your concert tickets here, we can donate $5 from the profits of your The Chainsmokers ticket sale to charity if you'd like too - so be sure to choose one for checkout. We are a ticket-buyer's paradise and one of the best ticket companies to find low-cost The Chainsmokers tickets. 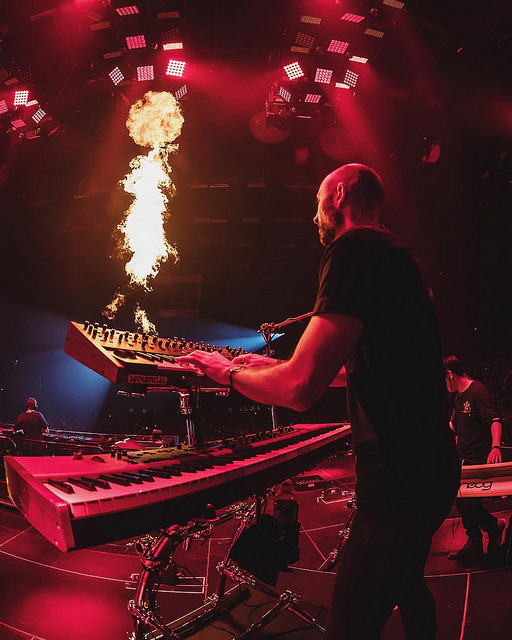 Our jaw-dropping selection of tickets will have you in the perfect seats to enjoy The Chainsmokers live on tour. 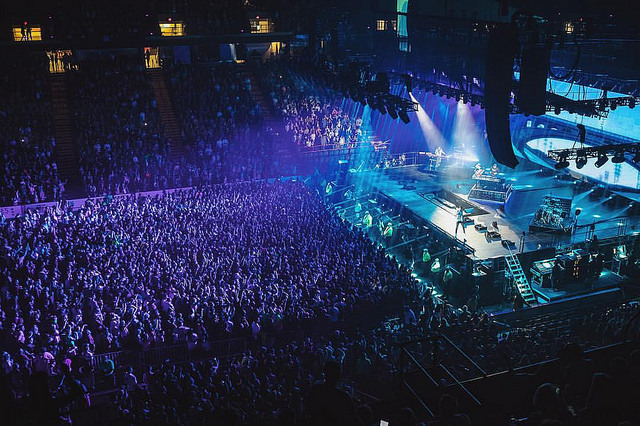 As a reputable event ticket company, GoodDeedSeats' obsession is to offer a risk-free, easy and intuitive The Chainsmokers ticket-buying experience for you, the discerning online customer and fan. Our first-class customer service is superb and consistently strives to outperform the competition and exceed your expectations when you order your concert tickets here. Call us at (844) 425-5918 for help shopping for any of The Chainsmokers's tour dates. How much are The Chainsmokers tickets? You'll be pleased with our trusted, state-of-the-art and easy-to-use secure checkout that will allow you to effortlessly purchase your The Chainsmokers concert tour tickets right now. Our intelligent and powerful servers will process your ticket order immediately and smoothly. Choose the venue and show date above by clicking its corresponding orange 'Tickets' button. It will bring you to a page with that venue's latest The Chainsmokers seating choices and pricing. Questions About Purchasing Tickets for The Chainsmokers? If you would like to order your The Chainsmokers tickets by phone, or if you have any questions about the ordering process, using our seating charts or our checkout, please call our customer service at 844-425-5918. There are often some great The Chainsmokers ticket deals here. The lowest price, or cheapest The Chainsmokers ticket price, can be found by clicking on any of the orange 'Tickets' buttons above, which will bring you your chosen venue's interactive seating chart. Prices can fluctuate based on numerous variables such as current marketplace inventory and consumer demand. Tickets can also vary for each concert date and venue on the The Chainsmokers tour. If you're the instant gratification type, GoodDeedSeats may just have you covered. You'll be happy to know that many of the tickets sold here are e-tickets ready for instant download, which is one of the best and fastest ways to get your tickets fulfilled. Any The Chainsmokers e-tickets will be labelled as such. All other tickets will be mailed to you with FedEx and you'll be able to choose your shipping time at checkout. You are always safe and secure buying your concert tickets here with our 100% Buyer Guarantee for purchasing The Chainsmokers tour tickets. Why shop anywhere else? The vibe is always positive at a Chainsmokers concert. The thumping EDM music, the dazzling lights, the dancing crowd, and the smell of the smoke machine will thrill your senses. Between songs, The Chainsmokers will inspire you with their uplifting messages of believing in yourself and living life to the fullest. You will enjoy your time at their concert. Needless to say, The Chainsmokers love to interact with their fans. They come across as humble but charismatic. You’ll like them as much as you’ll like their beats. The Chainsmokers are Drew Taggart and Alex Pall. They hail from New York City and they’ve been working together since 2012. Originally, The Chainsmokers were Taggart and DJ Rhett Bixle. Taggart was introduced to Pall by their eventual manager, Adam Alpert. In the beginning, the duo remixed songs by indie bands. Their first single, "Erase" (featuring Priyanka Chopra), hit streets in 2012. Their first EP, Bouquet, came out in 2015. The Chainsmokers first live performance was at Terminal 5 in New York City in September of 2014. In 2017, The Chainsmokers won a Grammy Award for Best Dance Recording.